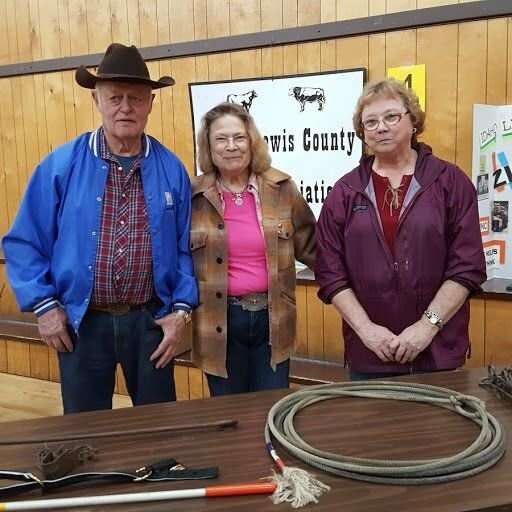 Virgil Wassmuth, Geralyn Jentges, and Judy Arnzen at the cattlemen's booth at the Camas Prairie Area Farm and Forestry Fair 2019. University of Idaho Idaho County Extension Agent Jim Church and a student milking the faux cow at the 2019 Farm and Forestry Fair. Happy Easter to all of you! There will be Easter Egg hunts in Greencreek on the church lawn, and Ferdinand at the park where it usually is. Both egg hunts start at 10 a.m. on Saturday, April 20. Kids are invited to come and participate and have fun. Last week the Farm and Forestry Fair was held in at the Greencreek Hall on Wednesday and Thursday. Fifth and sixth graders from local schools attended. There were 11 stations for the students to spend about 8 minutes and learn what each one was all about. There were stations where they learned how to milk a cow, grow wheat, take care of the forest, control weeds, what it takes to have a herd of cattle, and lots of other things that are important industries in this area. Agriculture and timber are the two biggest industries in North Central Idaho. Kids need to learn where their bread and butter come from, literally. Jim Church and Susie Heckman have been doing this for about 20 years. It is important for kids to learn about these things, especially if they do not live on a farm. The number of schools participating this year was down from other years. If your child’s school did not attend, ask your teachers to bring their students next year. 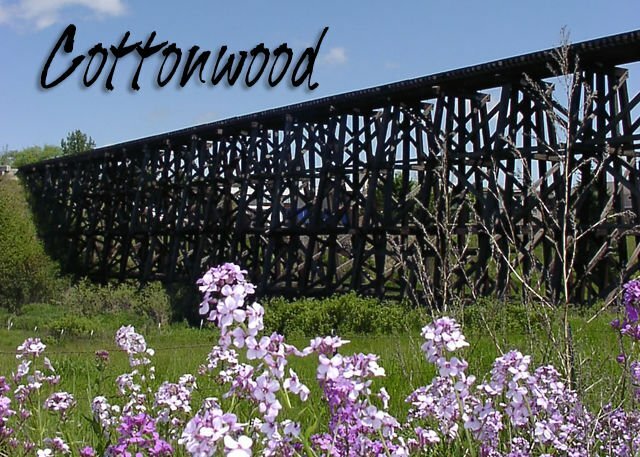 Emmanuel Baptist Church invites you to celebrate Easter Sunday at 404 Foster in Cottonwood. There will be a sunrise service at 6 a.m., on Sunday, April 21. It will include a musical cantata “At the Cross,” performed by the church choir. Following that, there will be a potluck breakfast. Normal Sunday school is at 8:45 a.m., and morning worship at 10 a.m., which will also include the cantata performance. Due to several people not being able to attend the Tuesday, April 16, meeting, the Idaho County Republican Central Committee meeting will be postponed to Tuesday, April 23, at Grangeville, Super 8 Motel meeting room at 6 p.m. If committee members are not able to attend on this new date, advise Marilyn Giddings ASAP. There are a few things that must be voted on this month, so the change of date seems like the best remedy. Shayla Van Houten, commander at Emmanuel Baptist Church in Cottonwood would like to invite everyone to Neon Night at Awana on Wednesday, April 24, at 6:30 p.m.